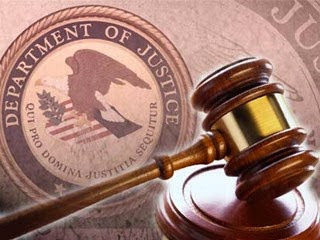 A retired U.S. Air Force Master Sergeant was sentenced today in the U.S. District Court for the Southern District of Florida to 18 months in prison following his guilty plea to unlawfully disclosing confidential procurement information and filing a false tax return, announced Acting Assistant Attorney General Caroline D. Ciraolo of the Justice Department’s Tax Division. According to court documents, Trevor Smith retired from the U.S. Air Force in December 2012 at the rank of Master Sergeant. From February 2009 through February 2010, Smith was deployed to Afghanistan, where he served as Supply Non-Commissioned Officer-In-Charge for the Operation Enduring Freedom/Combined Security Transition Command-Afghanistan NATO Training Mission. In that capacity, Smith met a Fort Lauderdale-based government contractor. As part of his plea, Smith admitted that he agreed to disclose confidential bid information on government contracts to the contractor in exchange for bribe payments. Smith and the contractor agreed that Smith would receive two percent of all revenues on contracts that the contractor received as a result of Smith’s assistance. In January 2010, the contractor wired $42,853.29 to Smith. The two agreed to wait until Smith returned to the United States for more payments. After returning to the United States, Smith set up a shell corporation called T Star Air Inc. to receive 23 additional payments totaling $220,600. Smith also created and submitted phony invoices to conceal the scheme. For tax years 2010 through 2012, Smith filed corporate tax returns for T Star Air that falsely claimed inflated expenses and deductions. In addition to the prison term, U.S. District Judge Beth Bloom for the Southern District of Florida ordered Smith to pay restitution to the Internal Revenue Service (IRS) in the amount of $6,501. Acting Assistant Attorney General Ciraolo commended special agents of IRS-Criminal Investigation, the U.S. Air Force’s Office of Special Investigations and the U.S. Department of Defense’s Office of the Inspector General, who investigated this case and Trial Attorneys Charles M. Edgar Jr. and Jason H. Poole of the Tax Division, who are prosecuting this case. Acting Assistant Attorney General Ciraolo also thanked the U.S. Attorney’s Office of the Southern District of Florida for their substantial assistance.